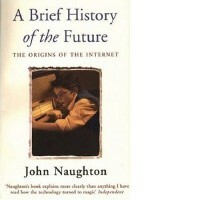 John Naughton is Professor of the Public Understanding of Technology at the Open University and leader of the Faculty of Technology’s “Going Digital” project. He is also a Fellow of Wolfson College, Cambridge where he runs the College’s Press Fellowship Programme and co-ordinates Cambridge’s contribution to the Internet Political Economy Forum. He has been a weekly columnist on the Observer since 1987 and is now the paper’s internet commentator. He was the Television Critic of the Listener in the 1980s, and was the Observer’s Television Critic for nine years (1987-1995), during which time he won the Critic of the Year award three times. His website is at www.molly.open.ac.uk.